Roll up, Roll up! Mr Tumble's Circus is coming to town! 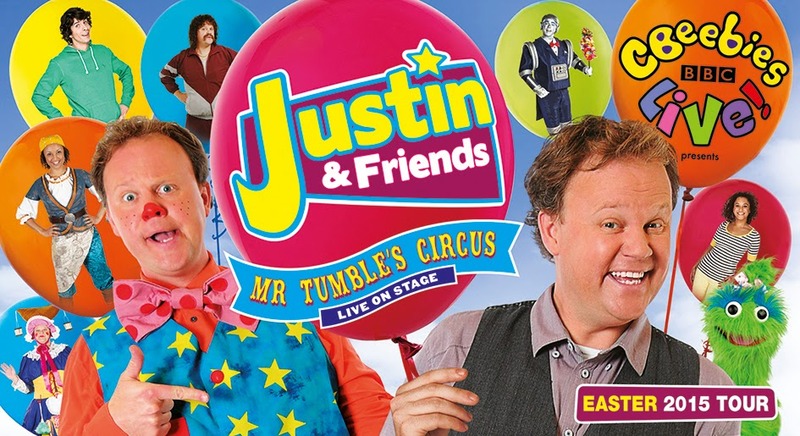 Justin & friends will be appearing in their brand new stage show at Newcastle Metro Radio Arena on Monday 13th April (1:30pm and 4:45pm - buy tickets here). 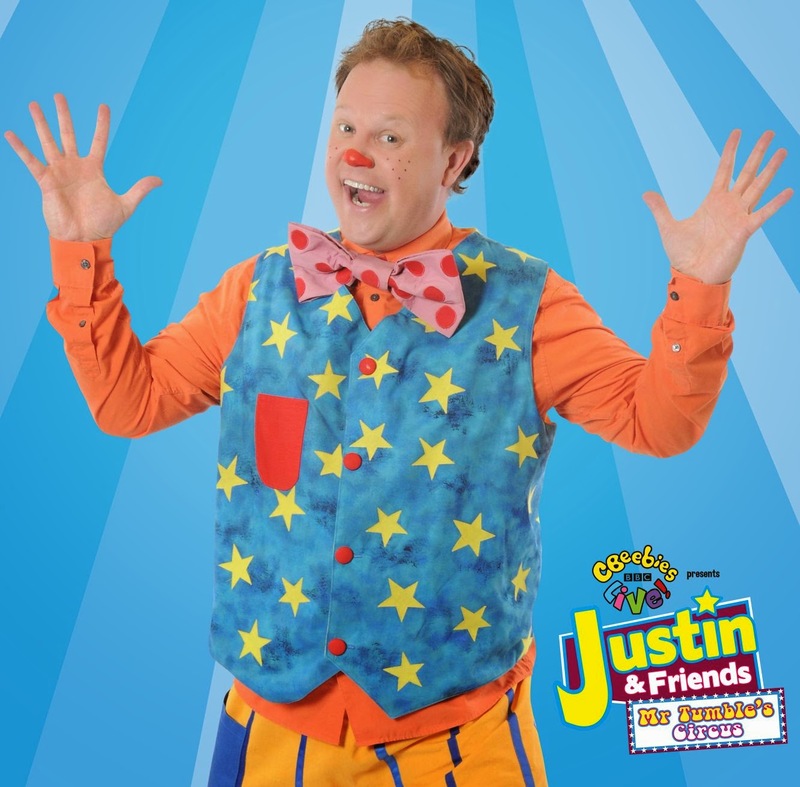 Justin's last arena tour was a sell out and this tour looks set to involve even more fun with appearances from CBeebies favourites Mr Tumble, Aunt Polly and Grandad Tumble. Jack (aged 4) has always adored Mr Tumble and it is one of the few shows he will sit down and watch all of the way through - nothing beats the sound of hearing your child laugh which is why I can't wait to take Jack and his friend to see Mr Tumble live in the flesh. Mr Tumble couldn't come to town without a few of his friends - he will be joined by Cat Sandion and Swashbuckle presenter Gem in their first ever live CBeebies show. As you would expect from a CBeebies live show, there will be lots of interaction, audience participation and fun. With appearances from Gigglebiz favourites, Robert the Robot and Little Monstor there is sure to be a lot of madness and mayhem too! Mr Tumble's Circus will feature unicyclists, tumblers, jugglers, fireworks, energetic dancing, live music and lots of humour and I am sure Jack and his friend are going to thoroughly enjoy themselves after their morning at pre-school (take a look at the CBeebies Live Facebook page for more information and photographs from the show). Justin always manages to captivate little ones and I think this tour will be a perfect introduction to stage productions for younger audiences. Mr Tumble's Circus tour will be running throughout the UK this April - check the CBeebies Live Website for tour dates, further information and to buy tickets. Children's tickets start at just £13.50 which when you look at the cost of days out and shows these days, is very good value.